The relationship between Schneider Downs and our clients is based on trust. 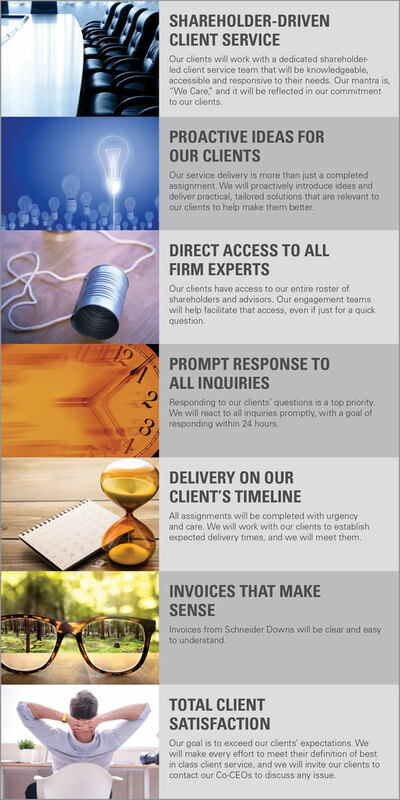 We know our clients have a choice of service providers, and we’re proud that they have selected our firm. The SD Standard is our commitment to honor that trust. Schneider Downs pledges to each and every client that our baseline standard for meeting their needs will be to provide best-in-class service. This is called the SD Standard, and it represents our commitment to providing Big Thinking with a Personal Focus.